Clark was born in Sioux Falls, South Dakota. He graduated from Twin River Valley High School in Bode, Iowa, where he was a multi-sport star. He earned four letters in football, basketball, and track and 3 letters in baseball. As a high schooler, he earned honorable mention all-conference honors in football and was second team all-conference as a sophomore. As a junior, Clark was named his team's most valuable player and a first-team all-conference and honorable mention all-state selection after recording 140 tackles. He was team captain and MVP again as a senior, recording 160 tackles, and earned first-team all-conference and second-team all-state honors. Sioux Falls is the most populous city in the U.S. state of South Dakota and the 143rd-most populous city in the United States. It is the county seat of Minnehaha County and also extends into Lincoln County to the south, proximate with the Minnesota state line. It is the 47th-fastest-growing city in the United States and the fastest-growing metro area in South Dakota, with a population increase of 22% between 2000 and 2010. Clark attended the University of Iowa, where he played for the Iowa Hawkeyes football team from 1999 to 2002. He did not see action during the 1999 season, but he finally saw the field in 2000. He played on special teams and made six tackles during the season as a linebacker. Prior to the 2001 season, the Iowa coaching staff decided to move Clark to the tight end position. 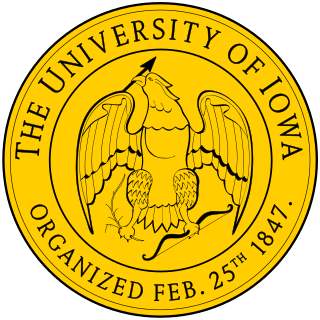 The Iowa Hawkeyes football team represents the University of Iowa in college football. The Hawkeyes compete in the West division of the Big Ten Conference. They have been a member of the Big Ten since 1900, and are currently a Division I Football Bowl Subdivision (FBS) member of the NCAA. The Hawkeyes play their home games in Iowa City, Iowa at Kinnick Stadium, with a capacity of 69,250. The Hawkeyes are currently coached by Kirk Ferentz, who is in his 20th season as the head coach and is the longest current tenured head coach in NCAA Division I FBS. Clark started 10 games at tight end for Iowa in 2001, catching 38 passes for 539 yards and four touchdowns on the season. He also played special teams, recovering an on-side kick to clinch a win against Penn State and recording five tackles on the year. Clark was named honorable mention All-Big Ten Conference. The Purdue Boilermakers football team represents Purdue University in the NCAA Football Bowl Subdivision (FBS) of college football. Purdue plays its home games at Ross–Ade Stadium on the campus of Purdue University in West Lafayette, Indiana. The head coach of Purdue is Jeff Brohm, the 36th head coach in program history. The Boilermakers compete in the Big Ten Conference as a member of the West Division. Purdue had most recently been a part of the Leaders Division of the Big Ten, but moved to the West Division in 2014 due to conference expansion. Kinnick Stadium, formerly known as Iowa Stadium, is a stadium located in Iowa City, Iowa, United States. It is the home stadium of the University of Iowa Hawkeyes, in the sport of college football. First opened in 1929 to replace Iowa Field, it currently holds up to 69,250 people, making it the 7th largest stadium in the Big Ten, and one of the 20 largest university owned stadiums in the nation. It is named for Nile Kinnick, the 1939 Heisman Trophy winner and the only Heisman winner in university history, who died in service during World War II. It was named Iowa Stadium until 1972, when longtime lobbying by Cedar Rapids Gazette sportswriter Gus Schrader successfully convinced the UI athletic board to change the name. It is currently the only college football stadium named after a Heisman Trophy winner. Brad Banks is a former American football quarterback. He played college football at Iowa where he was the runner-up for the Heisman Trophy. Clark was the 2002 recipient of the John Mackey Award which is presented to the most outstanding tight end in college football, a first-team All-Big Ten selection, and a unanimous first-team All-American. He won the Kenny Yana Award at the end of the 2002 season as well, as he helped lead Iowa to the Big Ten title and an 11-2 record. Although he had one more year of eligibility remaining, Clark decided to enter the 2003 NFL Draft. He left Iowa with 1,281 career receiving yards in just two years at the tight end position. Clark in an interview in Super Bowl XLIV media day. Clark was chosen in the first round of the 2003 NFL draft by the Indianapolis Colts with the 24th pick. When drafted, the Colts called Clark a "perfect fit" for their system, eventually replacing Marcus Pollard and Ken Dilger at the position. He started 10 games as a rookie and had 340 receiving yards before suffering a broken leg against the New England Patriots. He started 15 games in 2004 and had 423 yards receiving with five touchdown receptions. On February 19, 2008, the Colts placed the franchise tag on Clark. The next day, the Colts signed him to a six-year contract extension, with his salary averaging $4.5 million per year ($41 million in total), making him the highest paid tight end in the NFL. On December 28, 2008, Clark broke the Colts' franchise record, held by Hall of Famer John Mackey, for yards in a season by a tight end (848). On September 21, 2009, Clark had career high 183 receiving yards and a touchdown in just seven receptions at the Monday Night Football match up against Miami Dolphins, this is also the fourth highest receiving yards ever for a Tight End in NFL history. On November 8, 2009 against the Houston Texans Clark caught 14 balls; a career-high for him. He was named AFC Offensive Player-of-the-Week because of his performance against Houston. On January 3, 2010 against the Buffalo Bills, Clark caught his 100th reception of the season, the second tight end to do so in NFL history. 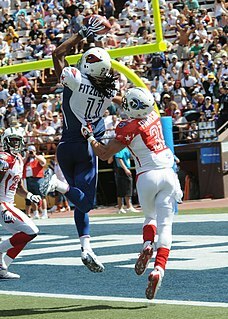 He ended the 2009 season with 100 catches for 1,106 yards and 10 touchdowns. Clark's surgically repaired wrist would again hinder his production in the 2011 regular season, limiting him to 34 receptions for 357 yards and two touchdowns in only 11 games. This was also the first season Clark played without quarterback Peyton Manning, who missed the entire season rehabbing from offseason neck surgery. Clark was released on March 7, 2012. Benjamin Richard Hartsock is a former American football tight end who is currently a sports analyst for Fox Sports Radio. He played college football at Ohio State and was drafted by the Indianapolis Colts in the third round of the 2004 NFL Draft. Terrance Terrel Copper is a former American football wide receiver of the National Football League, who played for the Dallas Cowboys, New Orleans Saints, Baltimore Ravens and the Kansas City Chiefs. He played college football at East Carolina University. Justin Morris Peelle is a former American football tight end who is currently the tight ends coach for the Philadelphia Eagles of the National Football League (NFL). Anthony Joseph Fasano is a former American football tight end. He was drafted by the Dallas Cowboys in the second round of the 2006 NFL Draft. He played college football at Notre Dame. Fasano has also played for the Kansas City Chiefs, Tennessee Titans, and Miami Dolphins. James Robert Doran was a National Football League (NFL) wide receiver for the Detroit Lions (1951–1959) and the Dallas Cowboys (1960–1961). He played college football at Iowa State University. He was a two-way player, playing both on offense and defense. He played 94 games as a defensive lineman, usually defensive end, and 115 games as a tight end. Brent Steven Celek is a former American football tight end. He played college football at Cincinnati, and was drafted by the Philadelphia Eagles in the fifth round of the 2007 NFL Draft. He would play his entire 11 season career with the Eagles. Celek won Super Bowl LII with the team over the New England Patriots during the 2017 season, and subsequently retired that offseason. Chase Allen Coffman is a former American football tight end. He played college football for the University of Missouri, earned consensus All-American honors, and was recognized as the best college tight end in the country. He was chosen by the Cincinnati Bengals in the third round of the 2009 NFL Draft. Scott Lawrence Slutzker is a former American football tight end in the National Football League. He was drafted by the Indianapolis Colts in the third round of the 1996 NFL Draft. He played his college football at the University of Iowa from 1991 to 1995. Jared Alan Cook is an American football tight end for the New Orleans Saints of the National Football League (NFL). He played college football at the University of South Carolina and was drafted by the Tennessee Titans in the third round of the 2009 NFL Draft. He has also played for the St. Louis Rams, Green Bay Packers, and Oakland Raiders. John Glenn "Jack" Doyle is an American football tight end for the Indianapolis Colts of the National Football League (NFL). He played college football at Western Kentucky, and signed with the Tennessee Titans as an undrafted free agent. Colton John "C. J." Fiedorowicz is a former American football tight end. He was drafted by the Houston Texans in the third round of the 2014 NFL Draft. He played college football at Iowa. Jeff Heuerman is an American football tight end for the Denver Broncos of the National Football League (NFL). He played college football for Ohio State, and in 2015 won the CFP National Championship. George Krieger Kittle is an American football tight end for the San Francisco 49ers of the National Football League (NFL). He played college football for the University of Iowa Hawkeyes. ↑ Indianapolis Colts, Team, Roster, Dallas Clark. Retrieved February 25, 2012. ↑ 2011 NCAA Football Records Book, Award Winners , National Collegiate Athletic Association, Indianapolis, Indiana, p. 11 (2011). Retrieved June 22, 2012. 1 2 Marot, Michael (September 27, 2007). "Dallas Clark getting more chances to make impact on Colts offense". USA Today. Associated Press. Retrieved June 1, 2013. 1 2 Kuharsky, Paul (March 16, 2011). "Dallas Clark 'happy' with progress". ESPN . ESPN.com. Retrieved May 29, 2013. ↑ Wilson, Aaron (August 13, 2013). "Ravens make it official, sign Dallas Clark, cut Gary Walker". The Baltimore Sun. Retrieved August 15, 2013. ↑ Dallas Clark to Retire a Colt: "It's So Special I Can't Even Express How Awesome It Is." ↑ "Dallas Clark Stats". ESPN Internet Ventures. Retrieved March 25, 2014.